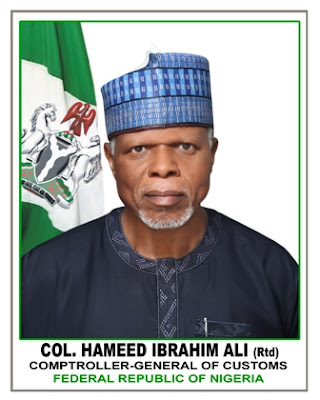 The Nigeria Customs Service (NCS) on Friday announced the retirement of 34 of its officers. A statement by the Public Relations Officer of the NCS, Mr Wale Adeniyi, said the retirement was part of the re-organisation in the service. He said the retirement of the affected officers was with immediate effect. ``As part of the ongoing re-organisation in Nigeria Customs Service, 34 Senior Officers have been retired from Service with immediate effect. ``The re-organisation of the service is one of the core mandates of the Comptroller-General of Customs, retired Col. Hameed Ali,’’ the statement read. He said those affected were five Deputy Comptrollers-General of Customs (DC-Gs) who had earlier given notification to the Comptroller-General for voluntary disengagement. They are John Atte, Ibrahim Mera, Musa Tahir, Austin Nwosu and Akinade Adewuyi. Adeniyi said the three Assistant Comptrollers-General involved are Madu Mohammed, Secretary to the Nigeria Customs Board, Victor Gbemudu, Zonal Coordinator Zone ‘A’ and Bello Liman, Assistant Comptroller-General (Headquarters). Others are Comptrollers serving in Customs Headquarters, Zonal Offices and various Area Commands. The statement quoted Ali as saying that the retirements were part of measures to kick-start the repositioning of the service for improved performance.